Solar wind flowing from this coronal hole should reach Earth on July 2-3. Credit: SDO/AIA. 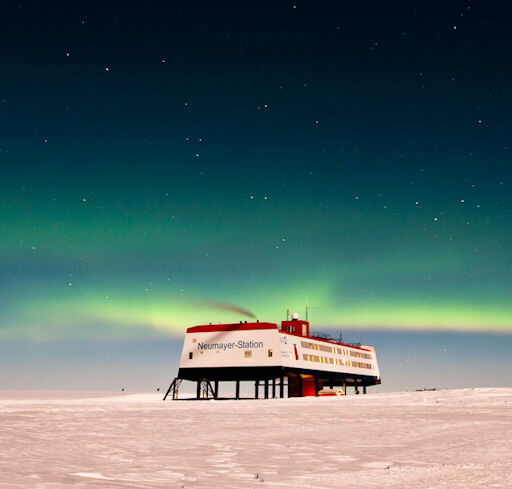 "On July 1st we enjoyed a beautiful display of aurora australis over the German Antarctic Research Station Neumayer III" says Christmann. "The air temperature was -30°C with 10 knots of wind. Even so, this was one of the most beautiful expierences so far." NOAA forecasters estimate a 40% chance of continued geomagnetic activity as the solar wind continues to blow. Aurora alerts: text, voice. 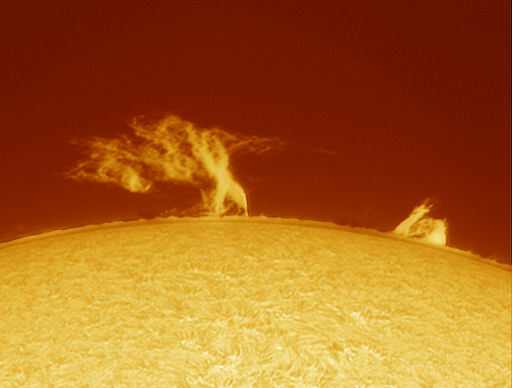 Prominences are filaments of magnetism filled with glowing-hot plasma. This beautiful "prom" rises more than 40,000 km above the stellar surface and stretches more than 20 Earth-diameters from end to end. Such structures are naturally unstable, and this one could collapse at any time. Keep and eye on the latest images for developments. On July 1, 2012 there were potentially hazardous asteroids.